Two teenagers have been charged in connection with racist attacks on Romanian families in Belfast. 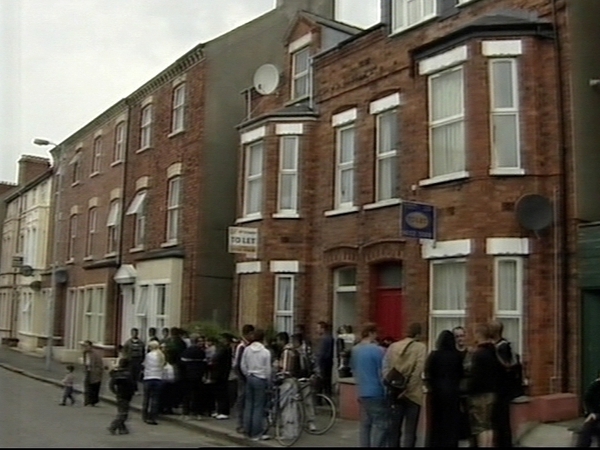 They are due to appear before Belfast Magistrates' Court on Monday morning. 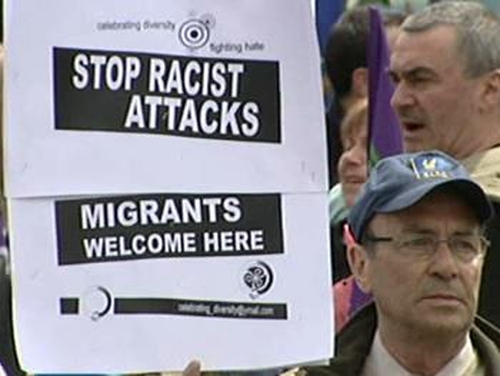 Earlier, an anti-racism rally was held in Belfast following the attacks on a number of Romanian families in the south of the city. More than 100 Romanian people had to leave their homes on Tuesday night and are being provided with temporary accommodation by the city authorities. Organisers of the rally said they hoped it would be the first in a series of demonstrations to highlight public opposition to the recent attacks on migrants in the North. The speakers included the president of the Irish Congress of Trade Unions, Patricia McKenna. The Anti-Racism Network said there is widespread anger about the intimidation of Romanian people and it has called for a coordinated response to the issue. The protest took place outside Belfast City Hall this afternoon.